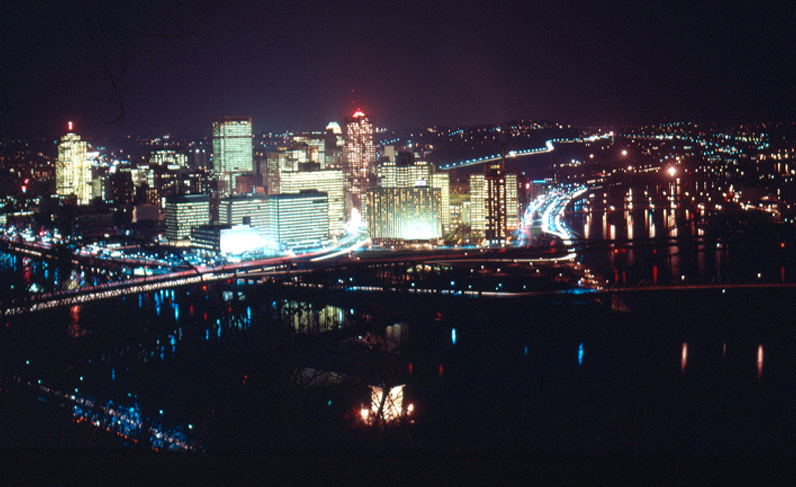 Pittsburgh 1967. Allegheny Conference on Community Development Photographs, 1892-1981, Detre Library & Archives. The Thomas & Katherine Detre Library & Archives at the Senator John Heinz History Center is Western Pennsylvania’s preeminent source for researching the region’s rich history. Founded in 1879, the Library & Archives preserves the rich history of Western Pennsylvania, and makes its collections accessible to researchers, students, and the general public. Learn more about Western Pennsylvania, a region of cultural and ethnic diversity and unsurpassed significance in the history of industrialization and economic development. You can also contact the Library & Archives through this form. The Library & Archives will close at 3 p.m. on Thursday, April 4. It will also be closed on Saturday, April 27 due to the African American Genealogy Workshop, which will be held there. Please visit the event page for more details.